Hpp-design is the first step to find the main parameters for your hydro power plant. 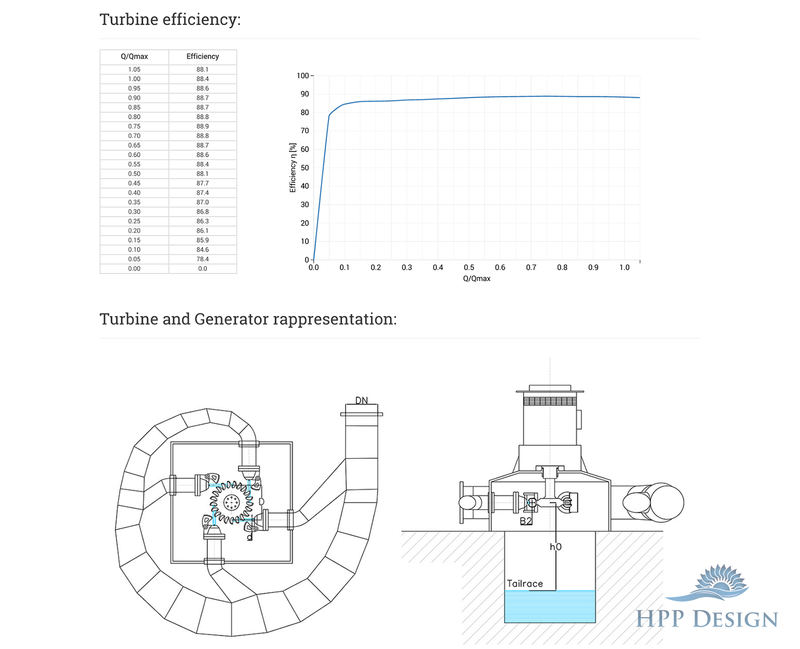 Which turbine is the best choice for a HPP? Should it be a Francis, a Pelton, a Kaplan, an Archimede screw, a Cross flow, or a Pat (pump as turbine)? What is the fundamental dimension of hydro turbine, the weight, the efficiency? HPP-design can be the answer to these questions. Create a new sizing and choose the turbine's configuration that best suits your hydro power plant. 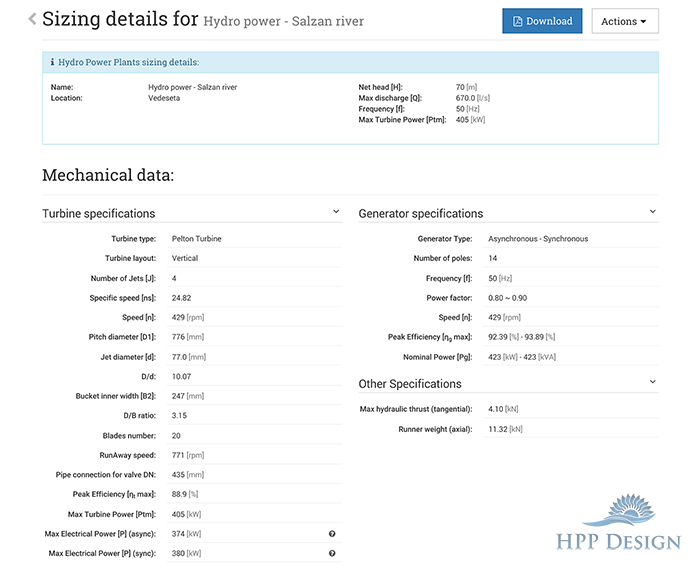 Sign up and insert net head and maximum discharge of your hydro power plant, with a click you can choose the turbine that fits your needs, and that’s all. The data, like main dimensions, efficiency, power and so on, are ready for your calculations. 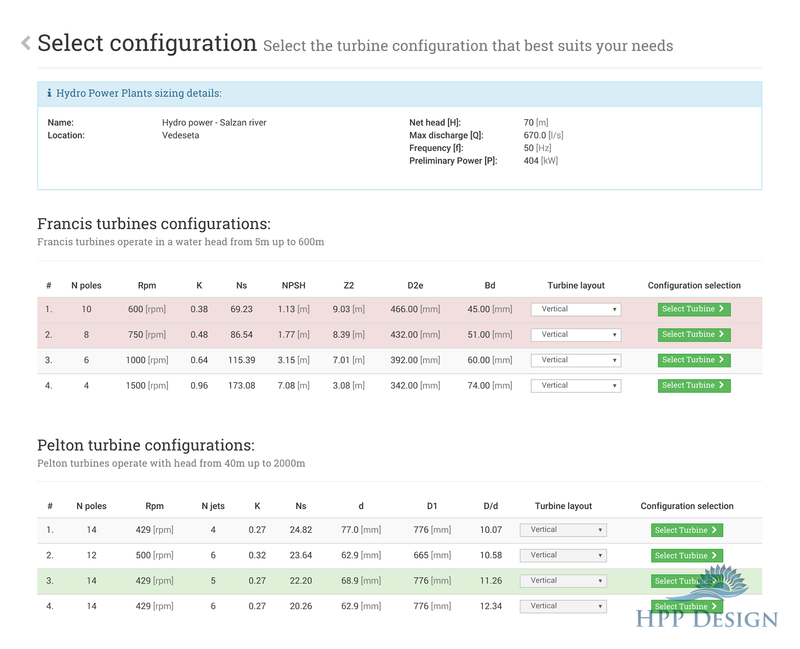 Try it now for free and subscribe to our newsletter to be informed about new releases of the HPP-Design - new features and new data information for turbines. Follow our BLOG to keep up to date in the hydroelectric fields. Enter your email below to receive all the latest updates and news.